According to WebMD, "Leaky gut syndrome" is said to have symptoms including bloating, gas, cramps, food sensitivities, and aches and pains. But it is something of a medical mystery. So on the one hand, they don't know what leaky gut syndrome is, yet Dr Lee admits it does exist. They go on to admit that celiacs and people with Crohns disease do indeed suffer from intestinal permeability or intestinal hyper-permeability and molecules do indeed cross through the intestinal wall when they shouldn't. 1. The rate of flow of a liquid or gas through a porous material. 2. The ability of a substance to allow another substance to pass through it. I don't know about you, but when one substance allows another substance to pass through it, that is a "leak", especially when it is not supposed to leak. So you can call it leaky gut syndrome or intestinal permeability because they are the very same thing. Allergies, especially Food Allergies: When undigested food particles pass through the gut the immune system can form IgE antibodies to that substance and attack it. When the immune system attacks any invader, it creates an inflammatory response and that response is often considered an allergic reaction because it happens shortly after the offending food was consumed. 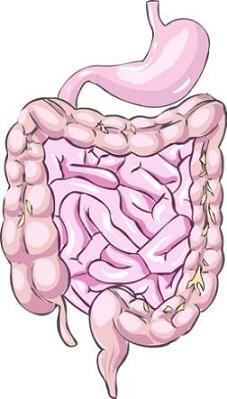 Bowel Diseases: Diseases such as ibs and ulcerative colitis happen when the permeability is primarily in the colon. Unexplained Skin Conditions: The skin is the largest organ of the body and when the inside becomes overwhelmed with toxins leaked from the colon, the skin will dump them through the pores. Eczema, psoriasis and unexplained skin conditions are often the result. Autoimmune Diseases: These diseases include celiac disease, crohns disease, fibromyalgia, Hashimoto’s thyroiditis, lupus, rheumatoid arthritis, ulcerative colitis, etc. In these cases, it is believed that the immune system eventually becomes confused by the constantly leaked particles and begins to attack its host cells. Probably the best thing to do if you think you have leaky gut syndrome is to be tested. This is a very simple urine test you can do yourself here. Grains, the blight of modern man. For 2 million years we didn't eat grains. Then about 12,000 years ago, wheat miraculously cross bred with three different types of grass and its hard shell turned into a soft-shell that stayed on the stalk. Modern agriculture was born, and we've been eating wheat ever since. We still cannot digest wheat unless it is processed first. So we harvest it and grind it up into flour, and make all kinds of things that are supposed to be good for you. In the last 100 years, we have taken this processing to new heights and produce all kinds of so called foods out of wheat flour. Pastas, breads, noodles, cakes, pies, chips, cereals, etc etc etc. It has become big big business worth billions of dollars a year. So much so that the Federal government recommends you get so many servings of whole grains per day to stay healthy. NSAID's such as aspirin and ibuprofen have been found to contribute to intestinal permeability.16,17 So do PPI's.17 Long term use of aspirin can also cause stomach and intestinal bleeding that can kill you if not caught soon enough. Eat plenty of vegetables like broccoli, cauliflower, kale, collard greens, cabbage, Brussel’s sprouts, bok choy, and arugula daily, at least five or more servings, and it is best if they are fresh or frozen. Raw is preferred but you can also lightly steam them if you wish but do not boil them. Do not buy canned vegetables either, they are over processed and almost devoid of nutritional value. These vegetables contain indole glucosinolates that break down into smaller substances called indolocarbazole, or ICZ that activate the AHR gateway receptor. Studies show that when ICZ from cruciferous vegetables activates this AHR gateway receptor, it helps to enhance the gut’s important barrier function. Consume plenty of good fats and oils that help the liver perform its job and lube the intestine. Good fatty oils are olive, macadamia, flax, avocado and coconut oils. Grass fed beef, bison, ostrich, wild game, dark chicken and turkey meat, wild Alaskan salmon and wild trout also are good because of the high Omega 3 fats that are critical for proper cell construction and function. Do not eat wheat, corn, oats, rye, and barley while you are healing. Afterwards I would keep these foods to a bare minimum. It is best to avoid trans fats, vegetable oils and sugar as well because they are toxic to the body and create inflammation. Avoid taking NSAID's and PPI medications if at all possible. Address any pathogenic bacteria over growth, parasites or candida yeast issues. You might want to do this stool test to determine if these pathogens are a problem is so it can be treated correctly. Candida issues can be addressed by doing the basic or systemic cleanse. Pathogenic bacteria and/or h pylori can be cleared by doing what I suggest here. Parasites can be killed at the same time with either cleanse by taking this. Supplement with zinc and Vitamin D daily. You can test your Vitamin D levels here if you would rather not take it without knowing if this is an issue. Any reading on the test of 29 or below is insufficient, ideal levels are in the 50's, and you will need to supplement if to low. Same goes for zinc and you could do this test first to see if it is an issue or not. Also, in 1998 Morlion, Bart J.; Stehle, Peter; Wachtler, Paul; Siedhoff, Hans-P.; Köller, Manfred; König, Wolfgang; Fürst, Peter; Puchstein, Christoph published a study in the Annals of Surgery: Volume 227 - Issue 2 - pp 302-308.23 On the post operative effects and recovery rates related to patients that under went digestive surgery. Post operative hospital stays were 6.2 days shorter for those that took l-glutamine than those that didn't, proving l-glutamines ability to heal the intestinal walls. I also suggest high dose colostrum tablets. Colostrum is not only an immune system stimulator but also has numerous growth factors for the digestive system. It also helps prepare the intestinal lining for attachment by good bacteria. There are claims being made out there that anyone with leaky gut should not take probiotics because the bacteria could pass through the intestinal wall and cause illness. But a 2013 study out of the Emory University School of Medicine in Atlanta; shows that probiotic bacteria actually "trigger the production of host epithelial cells, which line the various cavities of the body, which in turn activates and proliferates the spread of intestinal stem cells." These intestinal stem cells rebuild the intestinal wall. A high dose probiotic like those described here is suggested for leaky gut, 15 minutes after one or two colostrum tablets. MPS-Gold is also good for leaky gut syndrome. Not only does it kill candida yeast and increase immune function, but I have seen it stop intestinal bleeding within 24 hours in animals and humans. That proves to me that it definitely heals the lining of the intestine. Then you just have to give it time. It took you years to get leaky gut syndrome so it is going to take a while for your body to heal. Any questions about leaky gut syndrome please feel free to contact me from the contact page of this website. 1. Lancet. 2000 Apr 29;355(9214):1518-9. Zonulin, a newly discovered modulator of intestinal permeability, and its expression in coeliac disease. Fasano A, Not T, Wang W, Uzzau S, Berti I, Tommasini A, Goldblum SE. 2. Gut. 2007 Jun; 56(6): 889–890. Is gliadin really safe for non-coeliac individuals? Production of interleukin 15 in biopsy culture from non-coeliac individuals challenged with gliadin peptides. 3. Scand J Gastroenterol. 2006 Apr;41(4):408-19. Gliadin, zonulin and gut permeability: Effects on celiac and non-celiac intestinal mucosa and intestinal cell lines. 4. Sandhu JS, Fraser DR. Effect of dietary cereals on intestinal permeability in experimental enteropathy in rats.Gut. 1983 Sep;24(9):825-30. 5. Boyd GM1, Bigwood C2, Paul SP3.When gluten free is harmful.Br J Nurs. 2017 Aug 10;26(15):844. doi: 10.12968/bjon.2017.26.15.844. 6. Med Hypotheses. 2015 Dec;85(6):882-6. Epub 2015 Sep 16. My gut feeling says rest: Increased intestinal permeability contributes to chronic diseases in high-intensity exercisers. 7. Br J Sports Med. 2014 Jun;48(12):980-6. doi: 10.1136/bjsports-2012-091585. Epub 2012 Nov 7. Exercise regulation of intestinal tight junction proteins. 9. Gut. 2003 Mar; 52(3): 439–451. Intestinal epithelial responses to enteric pathogens: effects on the tight junction barrier, ion transport, and inflammation. 12. J Parasitol. 2001 Dec;87(6):1260-3. Modulation of caudal intestinal permeability in the rat during infection by the tapeworm Hymenolepis diminuta. 13. Cell Microbiol. 2016 Jul;18(7):889-904. doi: 10.1111/cmi.12566. Epub 2016 Feb 26. 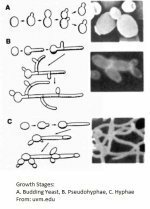 Candida albicans infection leads to barrier breakdown and a MAPK/NF-?B mediated stress response in the intestinal epithelial cell line C2BBe1. 14. Am J Physiol Gastrointest Liver Physiol. 2016 Jul 1;311(1):G105-16. doi: 10.1152/ajpgi.00405.2015. Epub 2016 May 5. Cellular zinc is required for intestinal epithelial barrier maintenance via the regulation of claudin-3 and occludin expression. 16. J Gastroenterol. 2009;44 Suppl 19:23-9. doi: Epub 2009 Jan 16. Intestinal permeability in the pathogenesis of NSAID-induced enteropathy. 18. Inflamm Bowel Dis. 2015 Feb;21(2):297-306. Vitamin D deficiency predisposes to adherent-invasive Escherichia coli-induced barrier dysfunction and experimental colonic injury. 19. J Infect Dis. 2014 Oct 15;210(8):1296-305. Vitamin D deficiency promotes epithelial barrier dysfunction and intestinal inflammation. 20. Am J Physiol Gastrointest Liver Physiol. 2008 Jan;294(1):G208-16. Epub 2007 Oct 25. Novel role of the vitamin D receptor in maintaining the integrity of the intestinal mucosal barrier. 21. J Proteome Res. 2015 Nov 6;14(11):4734-42. Gastrointestinal Symptoms and Altered Intestinal Permeability Induced by Combat Training Are Associated with Distinct Metabotypic Changes. 22. World J Gastroenterol. 2003 Jun 15; 9(6): 1327–1332. 2003 Jun 15. Effects of glutamine on intestinal permeability and bacterial translocation in TPN-rats with endotoxemia. 23. Morlion, Bart J.; Stehle, Peter; Wachtler, Paul; Siedhoff, Hans-P.; Köller, Manfred; König, Wolfgang; Fürst, Peter; Puchstein, Christoph. Annals of Surgery: 1998, Volume 227 - Issue 2 - pp 302-308.